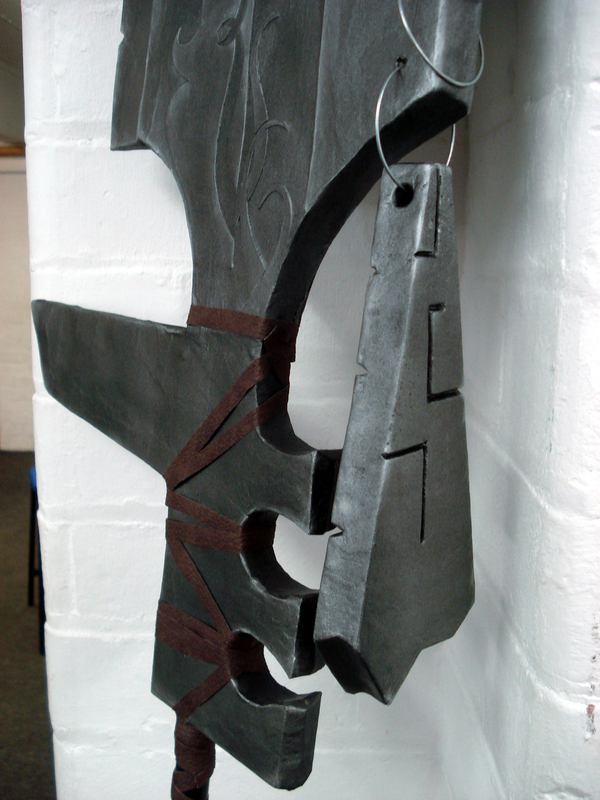 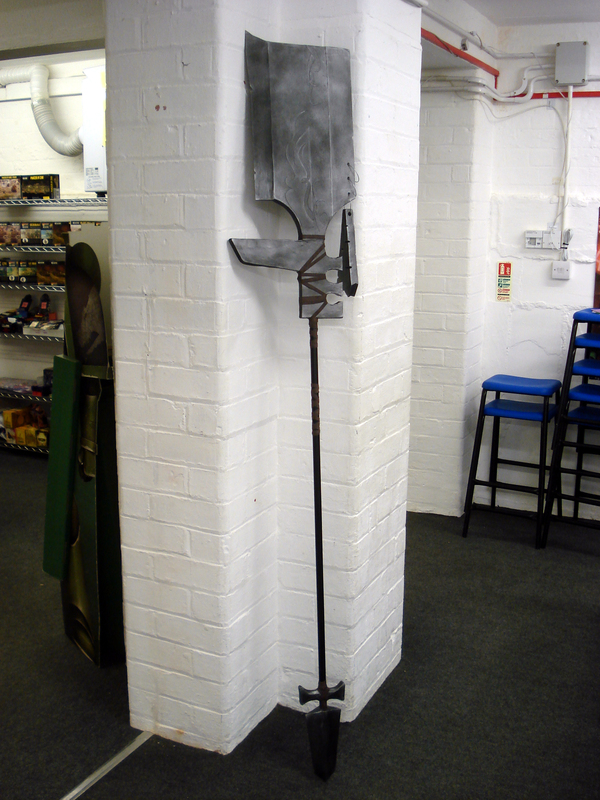 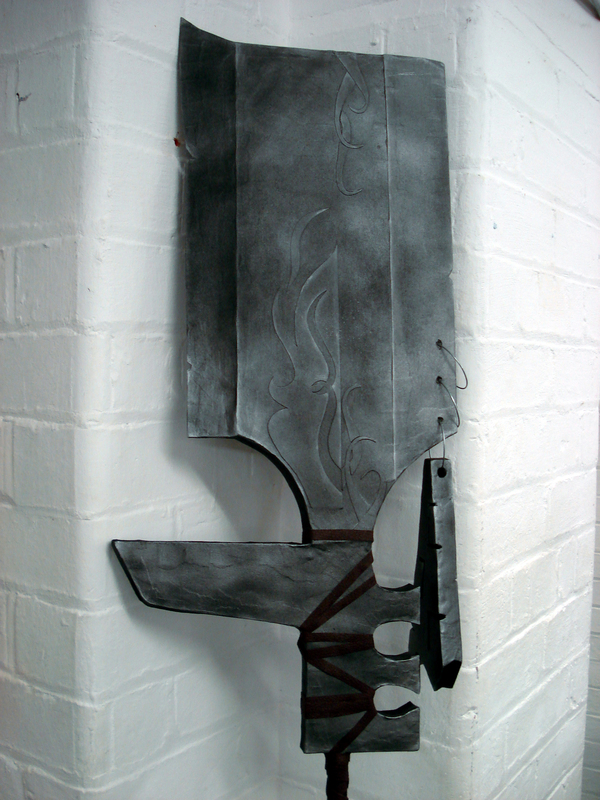 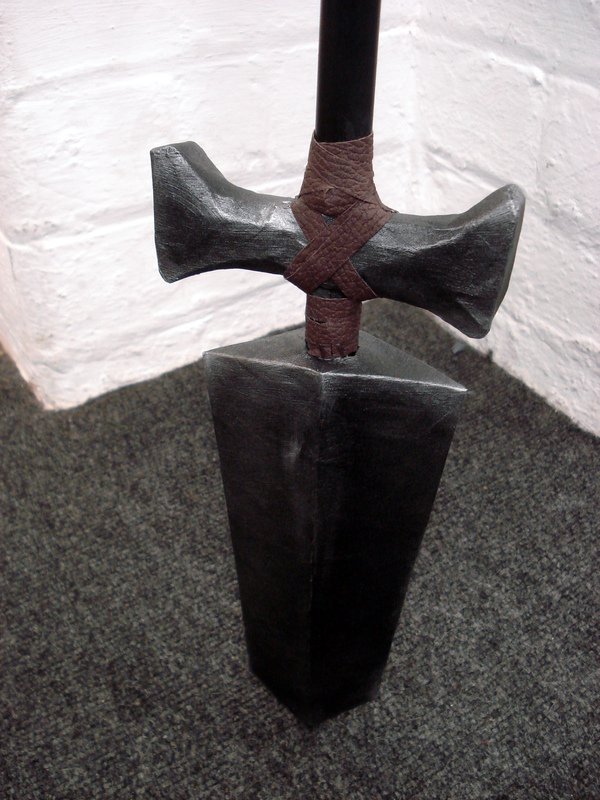 Looks like Sarkhan accidentally left his weapon here last time he was in store. Maybe he’ll be in to collect at pre-release this weekend (He usually never misses pre-release). 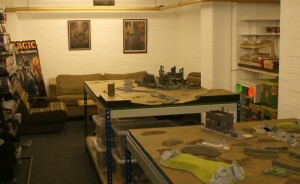 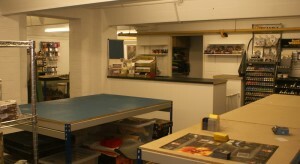 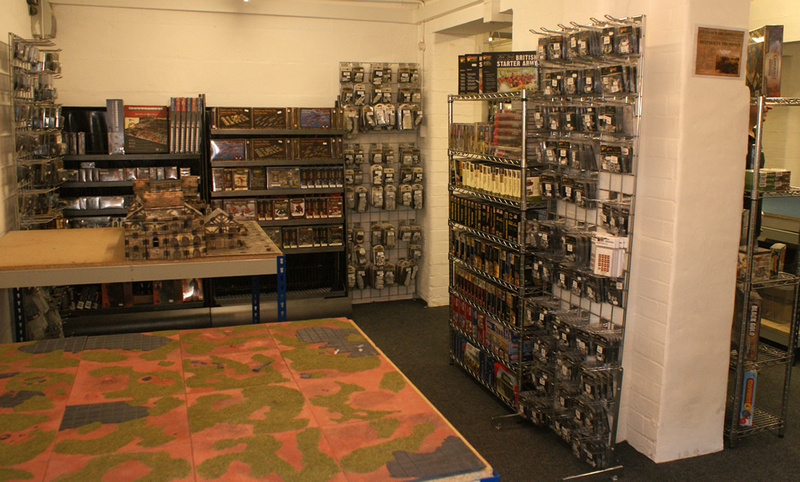 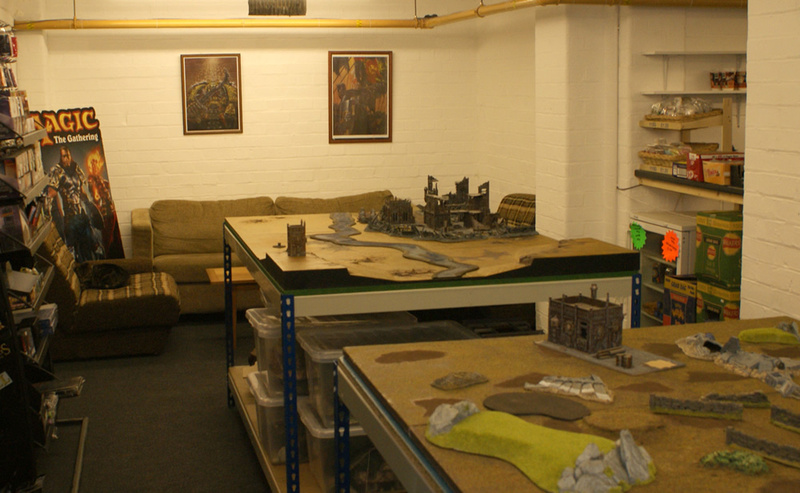 Over the past month or so we have been busy rearranging the layout of the unit at Big Orbit Games. 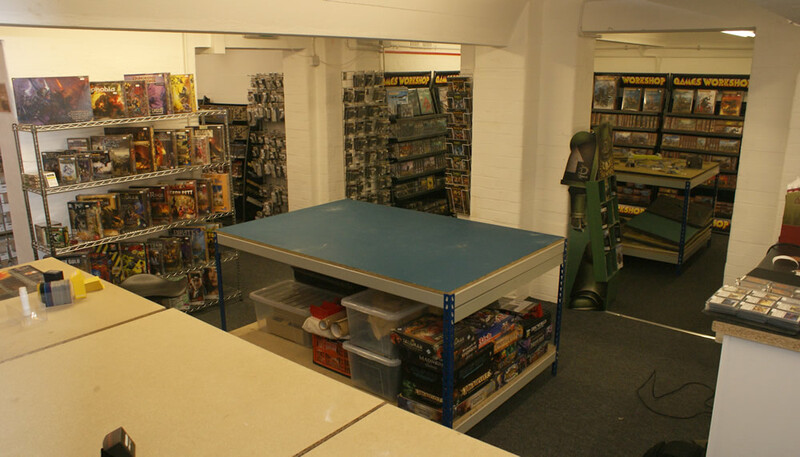 Since the business moved to Evesham we have always had a shop and a number of gaming tables but it was starting to get a little cramped so we decided to take 30 square metres from the warehouse and add it to the shop. 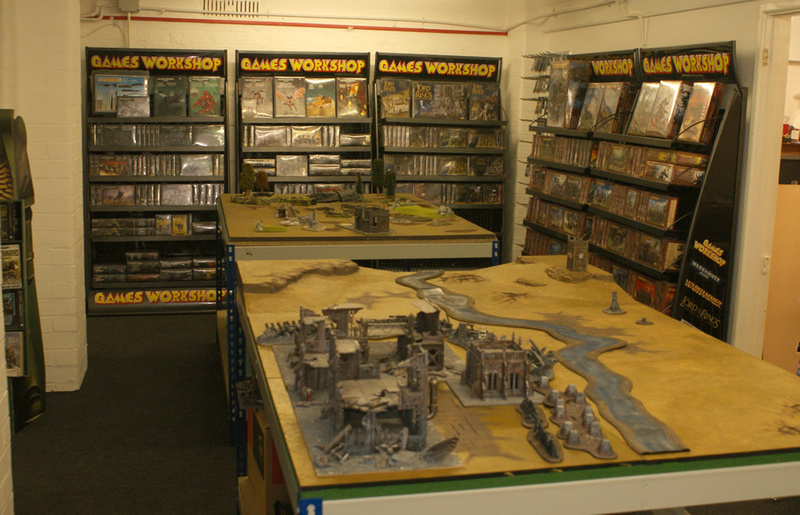 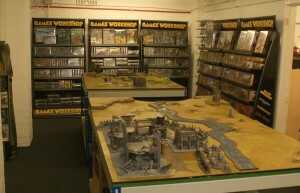 The first event we’ll be holding in the new shop – not counting this evening’s Friday Night Magic is a Dystopian Wars intro/games day – experienced and novice players (as well as absolute beginners) all welcome.